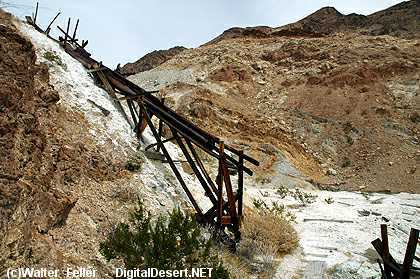 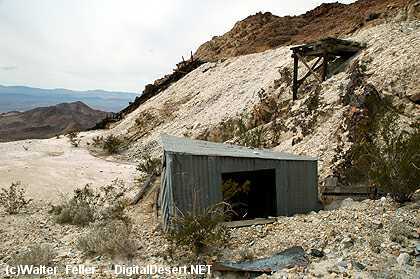 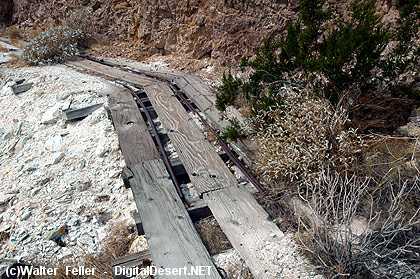 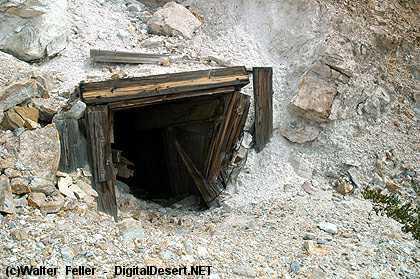 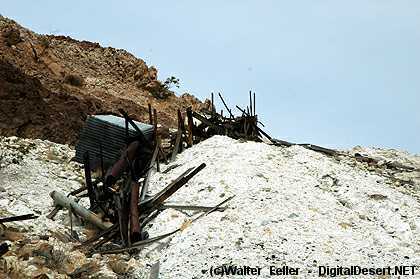 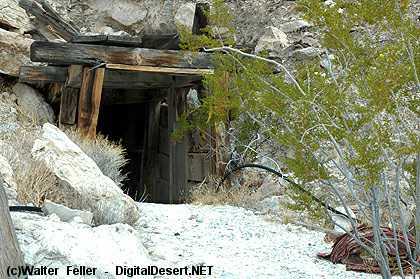 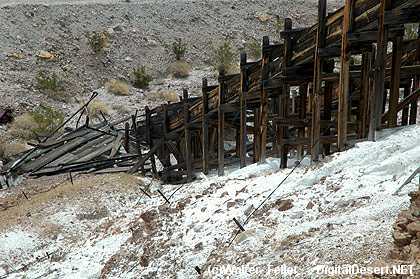 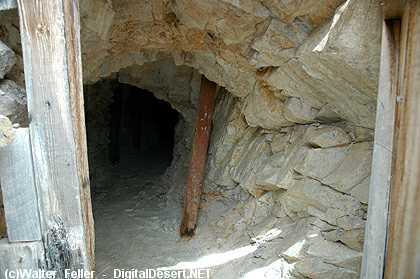 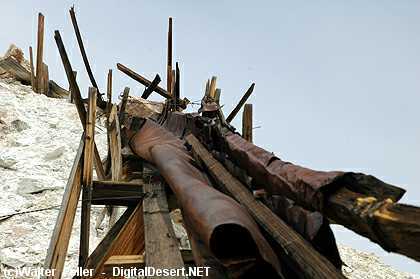 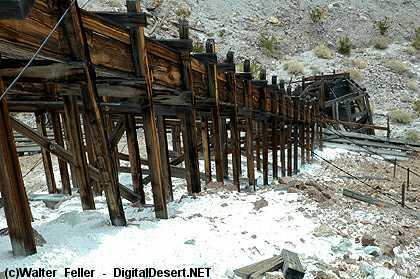 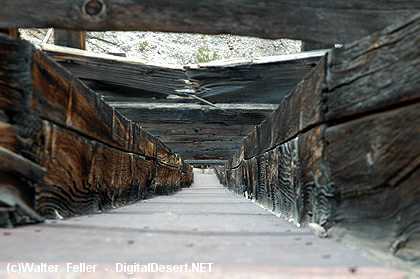 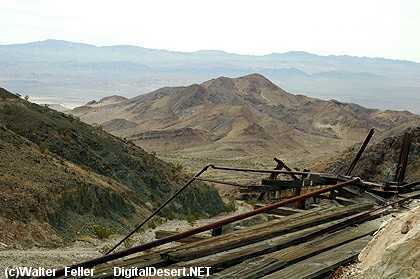 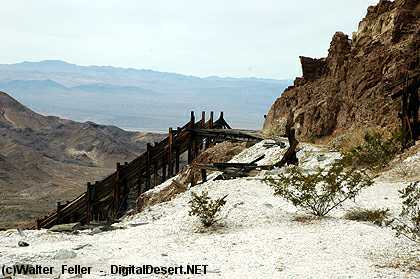 The last stage of mining activities in south Death Valley opened in the mid-1930s, when John Moorehouse located 16 talc claims a short distance northwest of Ibex Springs. 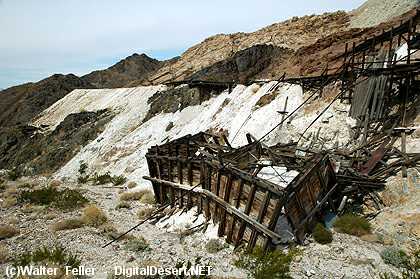 By 1941, Moorehouse had managed to extract 1100 tons of talc. 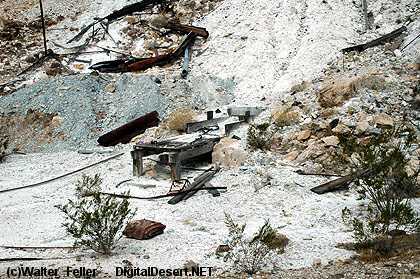 After a short period of idleness, Moorehouse then leased his claims to the Sierra Talc Company in the mind-1940s. 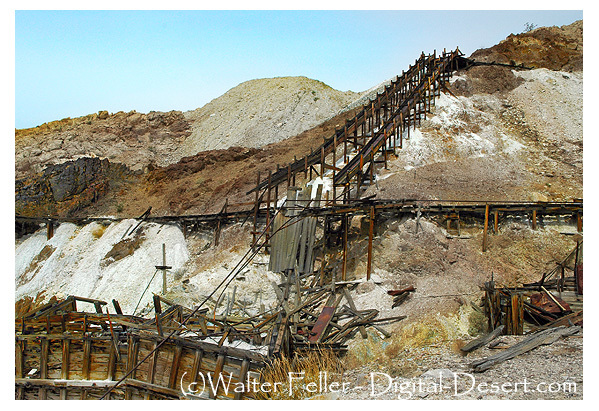 Sierra Talc developed the ore bodies extensively, and produced almost 62,000 tons of ore by 1959. 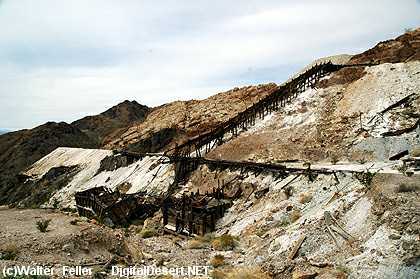 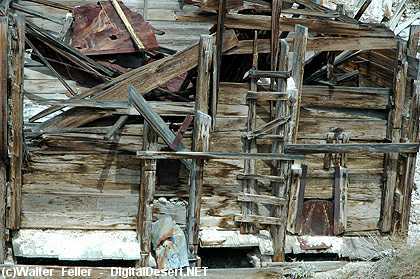 By then the talc seams were largely depleted, and the mine was operated only sporadically until about 1968.